Parents in growing number are aware of the importance of early childhood education. 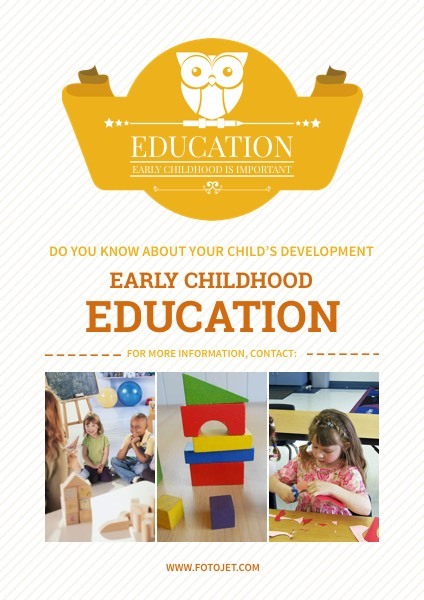 So if you are an early education center want to advertise your courses, this template with organized layout and fonts is an ideal example for you to make early childhood education posters. Just personalize it with your own photo and details and see how it can help your institution.